That has been the feeling we’ve felt as we’ve journeyed through so much of the beauty, variety, quirkiness and adventure that the US has to offer. We thought we had gotten all the beauty we could take after our South American trip, but the US had a few surprises in store. This leg of the trip has taken us through a half dozen National Parks so far. We feel like we’re both becoming amateur geologists and amateur historians in the process, learning about tales of receding glaciers, exploding super volcanos, Westward expansion and Native Americans along the way. We kept the writing short on this post, noting a few interesting facts of each and letting the pictures do most of the talking. 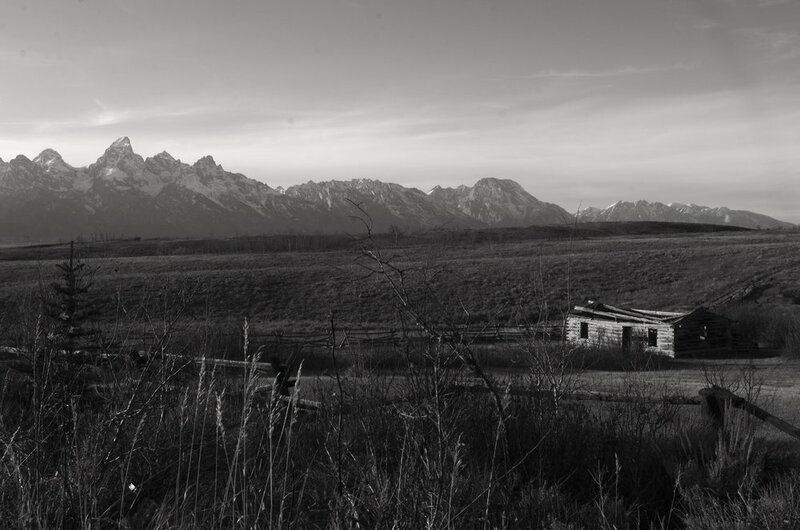 Without further ado, enjoy the Wanderlist: USA Road Trip, Part I. THE WANDERLIST: USA Road Trip, Part I. Our trip started with the fulfillment of a dream: We found a fossil! The Badland’s ashy rock is eroded by rain and wind each year, exposing hundreds of never-before-seen fossils. While hiking around, we spotted a strange-looking rock. Looking around the area, we uncovered what we later were told were the fossilized teeth of an Oreodont, a camely-pig looking mammal from the Miocene era, 15 million years ago. Not a dino, but we’ll take it! Badlands is an alien world full of tall rocky spires and colorful dusty valleys, spread through the middle of the South Dakota plains. Even though today we get to see it as uniquely beautiful out the window of our climate-controlled cars, both the Lakota and French named this the Badlands for its harsh climate and infertile soil, which made it quite difficult to survive there. "Sheer mass is emotional. There is something in sheer volume that awes and terrifies, lifts us out of ourselves." Completed in 1914, this 60 foot tall immortalization of four of the most revered American presidents took 14 years to complete. Nothing compares to seeing this in person—breathtaking. Just 15 miles West of Mt Rushmore is Crazy Horse, a monument is being built to honor a Lakota chief and Native American legend. 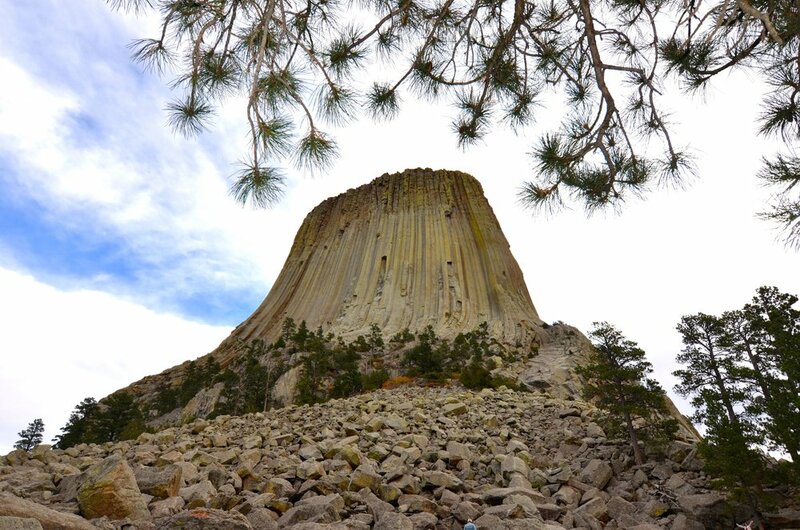 One man, inspired by the injustices suffered by Native Americans forced out of their lands, took it upon himself to create this monument which at a planned height of 563 feet tall, will dwarf Mt. Rushmore (all of Mt Rushmore fits inside of Crazy Horse’s head). After nearly 70 years of work though, only the face has been completed. While the original sculptor has passed away, his children carry on his legacy, continuing to carve the mountain and run the on-site museum every day. Imagine you are walking through a forest and come upon a hole in the ground that blows air so strongly that is pushes you back and knocks the hat right off your head. That's exactly what happened to Jesse Bingham, the first non-Native American to discover the mouth of Wind Cave in 1881. For centuries the Lakota had known about and worshiped this hole as a sacred space which they believed was the origin of life. 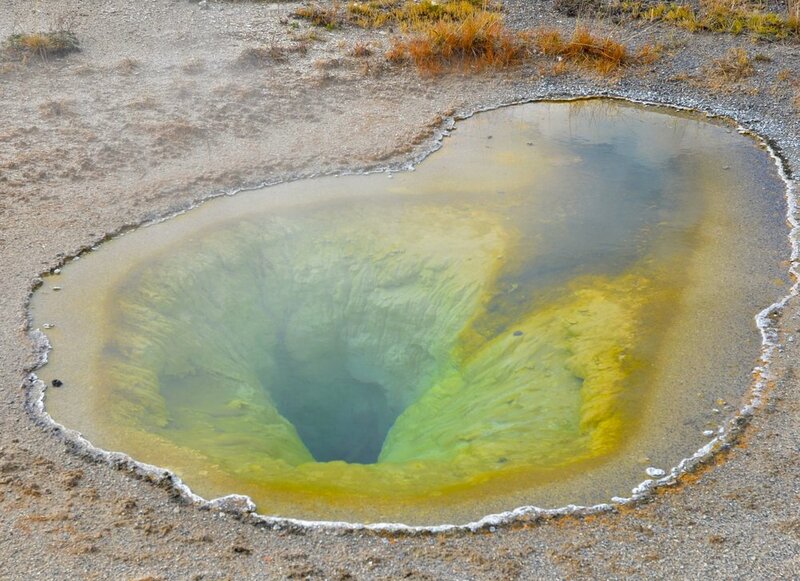 The Bingham family's curiosity made them analyze this phenomenon and realize it wasn't just a hole in the ground. Just below was a long and complex cave system. At 143 miles and counting, Wind Cave is now known as the 6th longest cave system in the world. Impressively, it's all tangled in only one square mile of land, but is several levels deep. The cave acts as a natural barometer pushing air out when air pressure inside the cave is lower than the pressure outside and sucking air in when the reverse is true. Miles of cave are still being explored and found today, leading to some pretty creative and funny names, some of which we compiled in the pictures above. As we crest a large hill on the drive from Mt Rushmore to Yellowstone, an amazing sight looms in the distance, 10 miles away. 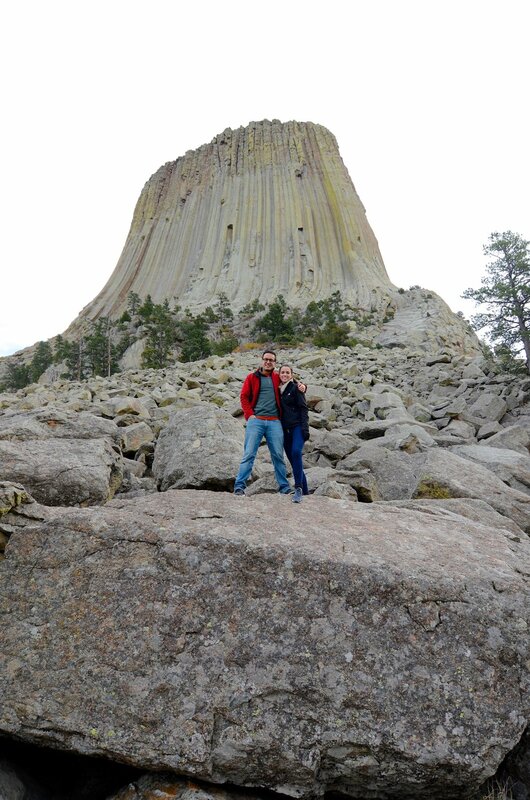 This 867-foot stone outcropping is called Devil’s Tower, an impressive structure that was formed when magma was forced up into rock, which has since eroded while the magma itself stayed in place. 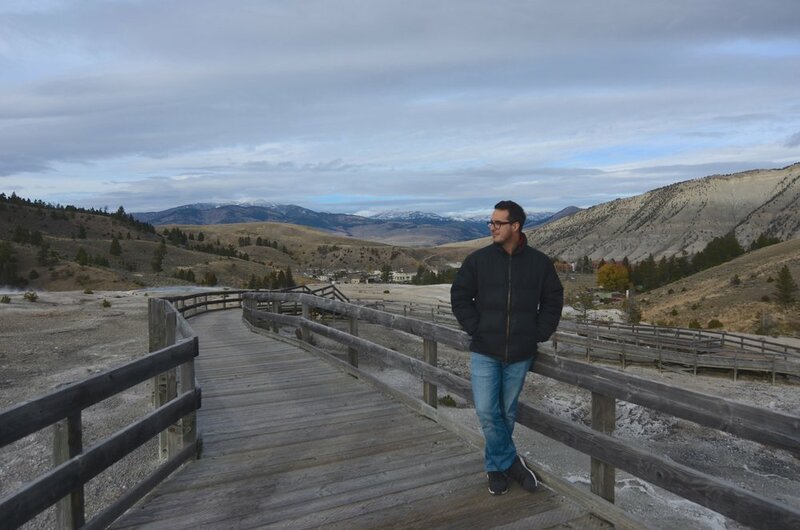 A visit to Yellowstone, America's first National Park, is a visit to Venus—to your left a puddle of bubbling mud, to your right a 10-foot tower of water spurting from a geyser, in front a deep turquoise hot spring ringed in bright orange, yellow, red. 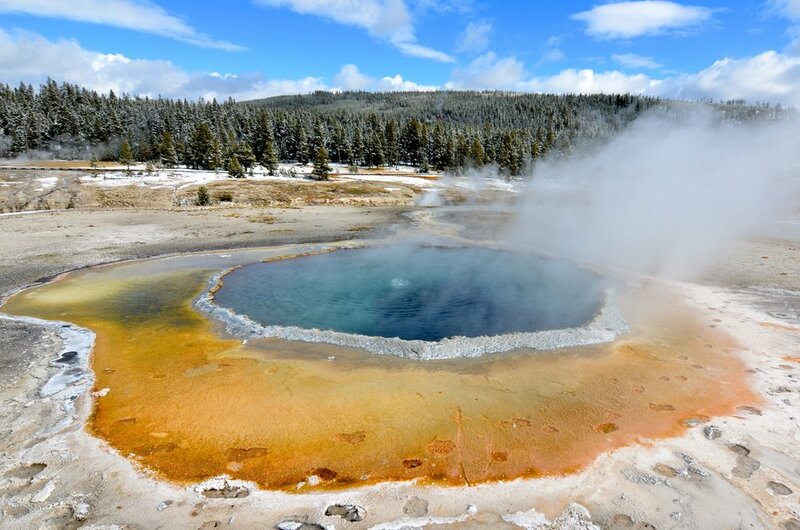 Yellowstone’s 2.2 million acre landscape is made possible by the super volcano that lies directly below it (YIKES!!). The hot spot causes the geothermic activity that we see on the surface. 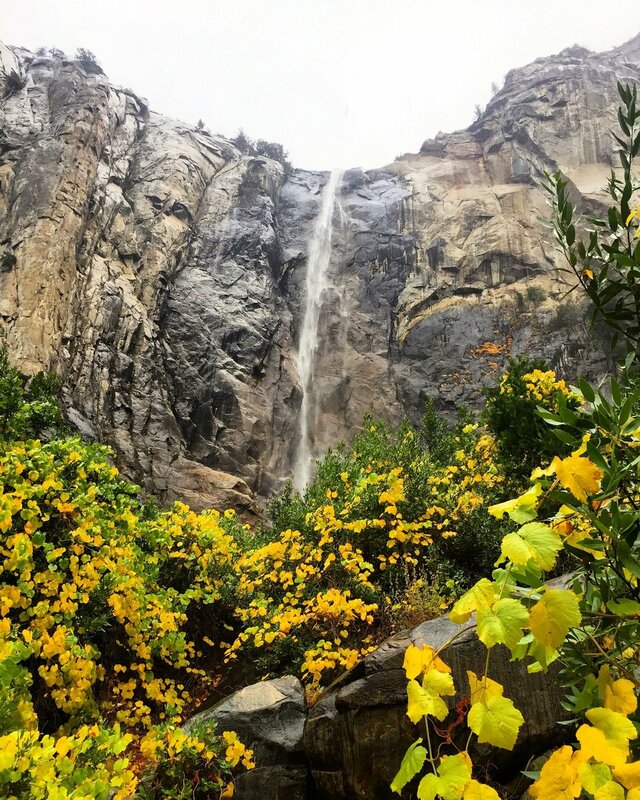 Aside from the thermal features the park boasts towering waterfalls, a breathtaking canyon, and wildlife at every turn. We spotted bears, foxes, bald eagles, and even got caught in a buffalo traffic jam. 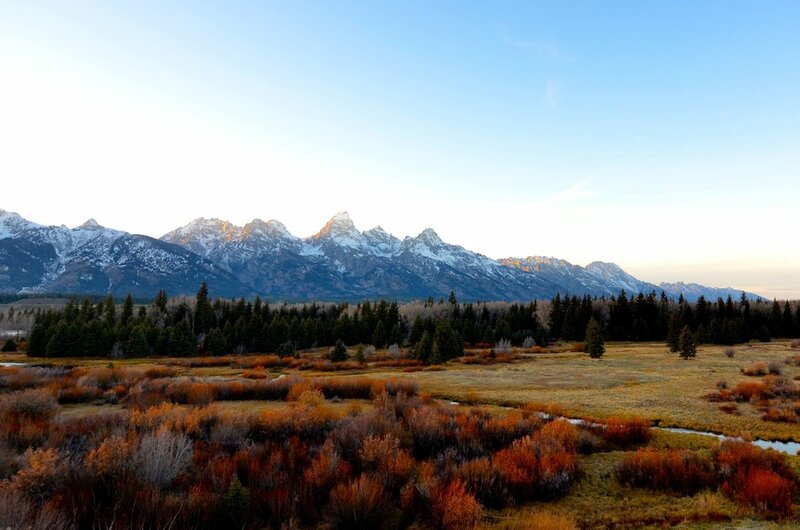 While just minutes away from Yellowstone, the snow-capped mountains and blue crystal waters of the Grand Tetons might as well be on another continent. 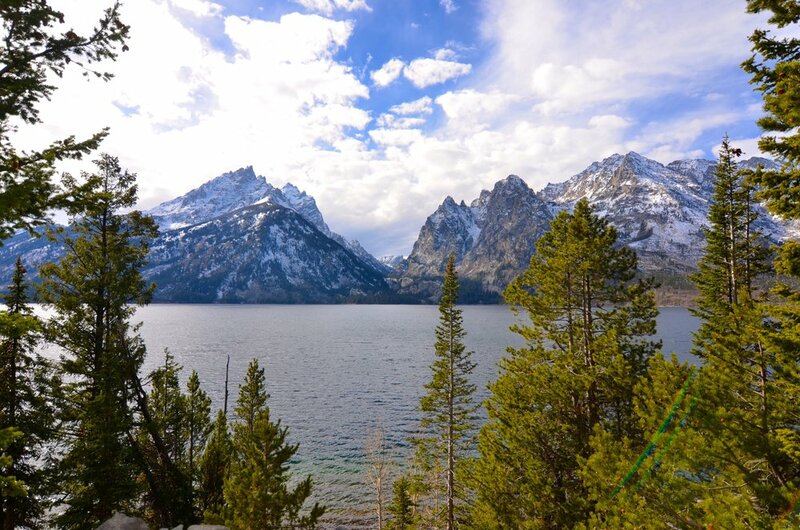 This park is a fraction the size of Yellowstone, with a fraction of the visitors. And you’ll feel less compelled to rush from site to site and more compelled to sit in awe of the beautiful views that are everywhere. Unimaginably large granite cliffs speckle the Yosemite landscape. While standing on Glacier Point overlooking the valley you’re awed by their size, when standing in the valley itself you’re dwarfed by them and the waterfalls which spill over their sides. This beauty has inspired visitors for centuries, including the famous photographer Ansel Adams who has a gallery dedicated to him in Yosemite Valley. 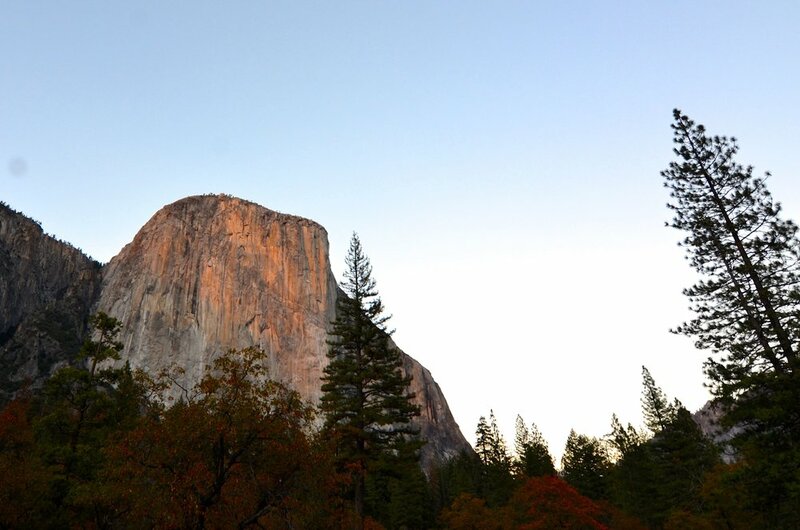 Ansel may be the only single person who’s taken more photos of Yosemite than Rolando. Sequoia is home to thousands of the world’s biggest trees. General Sherman Tree, the 3,000-year old and largest tree in the world by volume, towers at 275 feet tall, measures 103 feet around, and weighs an estimated 1,385 tons! Sequoias are fire and disease resistant and grow extremely fast—this combination helps each tree survive for thousands of years. These mammoths can only die if they fall over, which due to their alarmingly shallow root system is not an unheard of phenomenon. If you’re ever passing through I-90 on your way out West, be sure to stop by a few very unique roadside attractions. First, ‘The World’s Only Corn Palace’ is a concert venue whose outer walls are decorated by murals of corn and other grains grown in the area. The murals are redesigned and reconstructed by artists each year. The second must-visit stop is Wall Drug, a mind-blowingly huge drug store made up of dozens of smaller stores, restaurants, arcades, and crazy oddities. The store originally opened in 1931 as the lone pharmacy in the middle-of-nowhere America. The owners, struggling for customers, were struck with a lightning bolt of an idea: “What if we offered people free ice water?” Tourists, driving through the long, hot prairies on their way to Mt Rushmore, came in droves and Wall Drug flourished. Other unique road sightings pictured above are "The Tree of Life," the Mark Twain statue at Lake Tahoe, the Salt Lake City Museum of Natural History, and Salt Lake itself. That's it for Part I of our road trip! The next part will cover the unique, Mars-like landscapes visited during our journey through Utah, Arizona and Colorado.